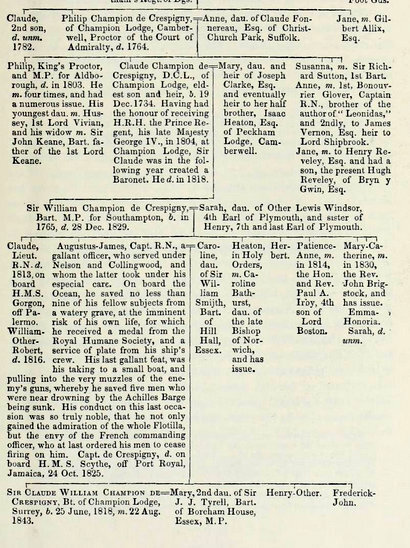 Augustus James Champion de Crespigny (1791-1825), my second cousin five times removed, died of yellow fever on board HMS Scylla. and was buried at Port Royal, Jamaica. Augustus was the third son of the second baronet, Sir William Champion de Crespigny (1765-189) and his wife Lady Sarah née Windsor (1763-1825). Yellow fever is a potentially fatal viral disease, transmitted primarily by mosquitoes. It is called ‘yellow fever’, from the French ‘jaune’, ‘yellow’, because the infected person’s skin takes on a characteristic yellowish colour. 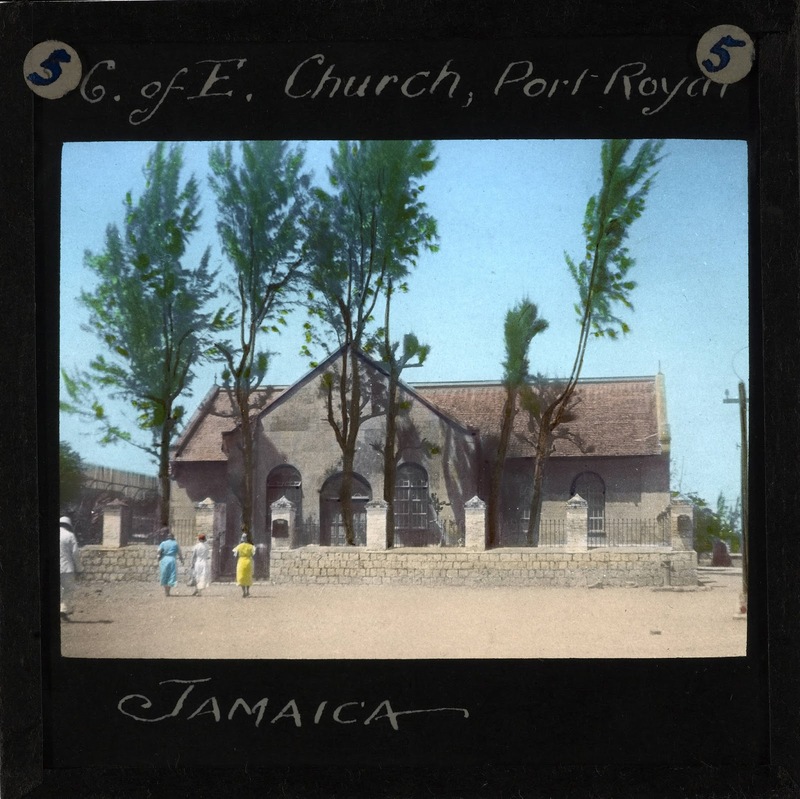 According to the caption of a photograph of the church at Port Royal taken by the International Mission Photography Archive (IMPA), the church has numerous plaques commemorating men lost in gales, killed in action or by the sinking of their ships, but more numerous than the others put together, are those commemorating men struck down by yellow fever. Augustus and his brother Claude entered the Royal Navy in the war against France. Their grandfather, Claude Champion de Crespigny (1734-1818), was Receiver-General of the droits of Admiralty, traditional rights or perquisites of the Crown, which included proceeds from the sale of enemy ships seized in time of war. With this connection it is perhaps not surprising that two of his grandsons were enlisted in the Navy. Augustus first went to sea at the age of 14 under the patronage of John Jarvis, First Lord of the Admiralty, later Earl of St Vincent, who was then First Lord of the Admiralty. In October 1805 Augustus was at the Battle of Trafalgar on board HMS Spartiate. He was later a volunteer midshipman on HMS Tonnant in the gunboat service in 1810 at Cadiz. While serving on the Tonnant he rescued drowning sailors on three separate occasions. 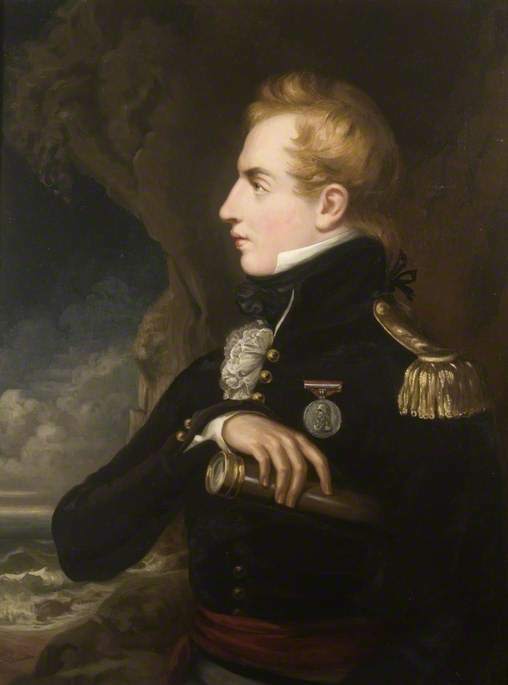 Augustus’s brother Claude died of dysentery in July 1813 on board the HMS Gorgon off Palermo. The HMS Gorgon was serving as the flagship for Vice Admiral Francis Pickmore. Commander Claude de Crespigny replaced Commander Rowland Mainwaring at Port Mahon, Menorca, in 1813. Coincidentally Rowland Mainwaring (1783-1862) is my fourth great grandfather on another branch of my tree. Augustus’s second oldest brother William, was a lawyer and called to the bar in 1814. He served with the Surrey local militia promoted to lieutenant on 9 July 1813. He died of illness in January 1816. Neither Claude nor William had married. Heraldic Illustrations, page 84, by Bernard Burke published in 1853 repeats the facts contained on the plaque in Jamaica. Augustus-James, Capt. R.N., gallant officer, who served under Nelson and Collingwood, and whom the latter took under his especial care. On board the Ocean, he saved no less than Gorgon, nine of his fellow subjects from a watery grave, at the imminent risk of his own life, for which he received a medal from the Royal Humane Society, and a service of plate from his ship’s crew. His last gallant feat, was his taking to a small boat, and pulling into the very muzzles of the enemy’s guns, whereby he saved five men who were near drowning by the Achilles Barge being sunk. 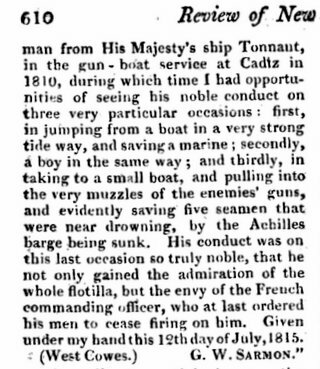 His conduct on this last occasion was so truly noble, that he not only gained the admiration of the whole Flotilla, but the envy of the French commanding officer, who at last ordered his men to cease firing on him. Capt. 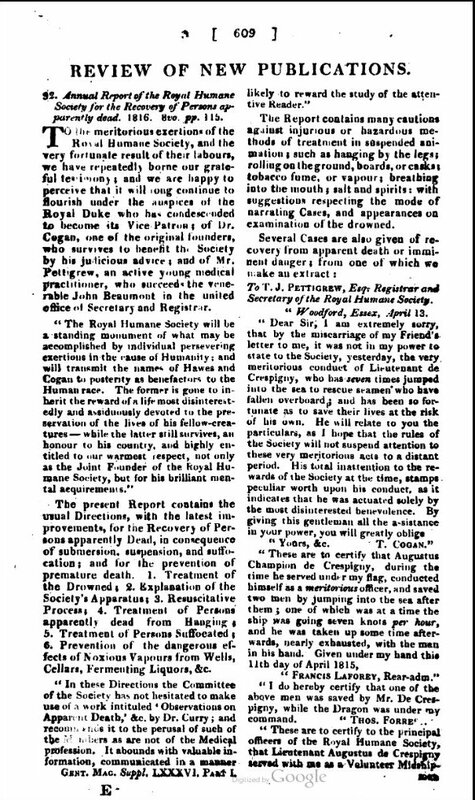 de Crespigny, d. on board H. M. S. Scythe, off Port Royal, Jamaica, 24 Oct. 1825. Q is for quarrelling including a duel from the 2014 AtoZ challenge concerning Augustus’s younger, and less gallant, brother Heaton.